The AquaTel Fluid Level Monitor uses unique ultrasonic technology to monitor fluid levels in a wide range of tanks. 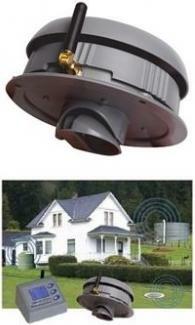 This wireless sensor and receiver package offers superior performance over older technologies. The sensor can be installed for use in a wide range of applications (see below). The battery in the sensor can last up to five years, depending on the configured data refresh rate. We are pleased to announce that LILIN products are now available at Digital Smart Homes! 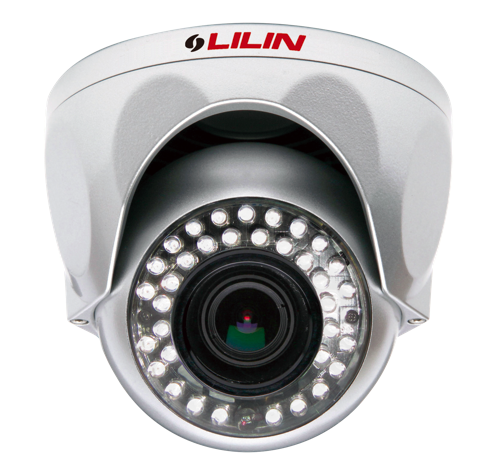 LILIN’s professional-grade IP (iMEGAPRO) and Analog video cameras feature industry-leading specifications and design that help to deliver astounding image quality as well as discreet surveillance. Offering over 10 camera model types, the iMEGAPRO and Analog lines provide pristine footage suitable for almost any residential or commercial application. We're excited to make these solutions available to our clients! TuneIn gives your customers the ability to access and enjoy a collection of global streaming radio stations, podcasts, music, sports and news through their Control4 systems. The new and improved 4Sight service now delivers Anywhere Access to a Control4 system from a smart phone or tablet over a 3G/4G or remote WiFi connection. The new Remote Recharging Station keeps SR-150 and SR-250 System Remote Controls fully charged and ready for control. As home automation specialists working to educate the public on the benefits of new technologies, we are often told, “I am too technically challenged to use a home automation system.” To be honest, we love to reveal why this statement is one of the biggest myths of the 21st century. The truth is that home automation systems have the power to simplify everything within your home and life. For example, homeowners often struggle with technologies that don’t work together. They hate the numerous remote controls cluttering coffee tables, and the wires tangled throughout rooms, but they don't know they have any other options. Today’s home automation technologies eliminate the confusion. Completely. 1. Home automation systems, such as Control4, give homeowners the power to fuse together their entertainment, lighting, temperature control, and security into a single console. One way to manage everything, not lots of ways to manage lots of things. 2. A home automation system can be controlled via a remote and/or with home computers, iPads, iPhones, and smart phones. It can’t get any easier. 3. Picture this. The kids are playing their PS3 in the theater room and Mom and Dad want to start family movie night. Without changing sources or input cables, and with just one remote control, the room can be primed for movie watching by a simple press of a button. The lighting dims, the shades close, and the TV powers on via Control4. 4. Perhaps Mom and Dad are listening to their favorite Jazz station on Rhapsody in the kitchen as they cook. The children are in their respective rooms listening to their own choices of music. Mom presses the “DINNER” button on the Control4 keypad next to the stove and it automatically shuts off the music in their rooms and announces dinner time. 5. The technically challenged can even be at ease while on the road. Let’s assume you take a trip to Paris and leave your home in the care of a house sitter. You don’t have to fret about unlocked doors, the garage door being left open, lights being left on, and more. All you need is your iPad to see which doors are locked or unlocked, which lights need to be turned off or on, and whether or not you need to shut the garage door. You have the power to control them all via a touch screen. 6. Another convenience that home automation provides is the ability to remotely access and adjust your temperature settings. Most people don’t use the programming options on their thermostats, whether because it takes too long or their heating and cooling habits are inconsistent. Home automation provides you the ability to log in from your mobile device or PC and change the temperature to your desired setting. This is especially important while on vacation. Setting your home temperature back to a comfortable setting right from the airport allows you to come home to a comfortable, warm house. 7. One of the biggest concerns for the technically challenged is system setup and maintenance. This makes our team smile for a couple of reasons. Because each household has its own unique needs, we help to customize individualized solutions to meet those needs, and we ensure that all technologies are installed and working properly. If for any reason there is a problem, we are a phone call away and can fix most issues remotely. In short, home automation systems are a complete relief for the technologically challenged. We dare you to visit a showroom for a demo and see for yourself!